I love Limeade, especially during the hot summer months. I find it to be even more refreshing than Lemonade or water for that matter. 😀 While I have been learning to reach for water first, or even sparkling water with a spritz of freshly squeezed lime or lemon juice (no added sweetener), I still enjoy a cold glass of Limeade on occasion. I grew up on the Minute Maid Frozen Limeade from Concentrate. It is very easy to make, but it has high-fructose corn syrup in it and I try to avoid that ingredient at all costs. Yes, this recipe does have granulated sugar in it and can probably still be improved upon, but for now, I will take this. Baby steps and moderation is key. I found the following recipe on the Cooking for Engineers Website and it is by Michael Chu. I am going to rewrite it here in a format that is easier for me to refer to in the future. I like to make my Limeade Concentrate in large batches to reduce how often I need to make it, so I quadruple the recipe. 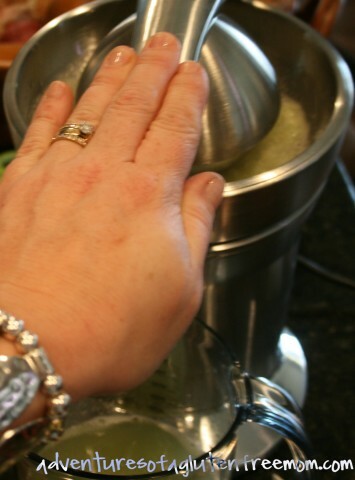 After doing this a few times, I realized that I am not a fan of juicing by hand, especially in large quantities! So a bought a really nice electric citrus juicer by Breville, to do the work for me! I love this juicer so much, that it stays on my counter and we have freshly squeezed orange juice each morning with breakfast. No more Tropicana. I also buy mass quantities of limes and lemons at Costco. 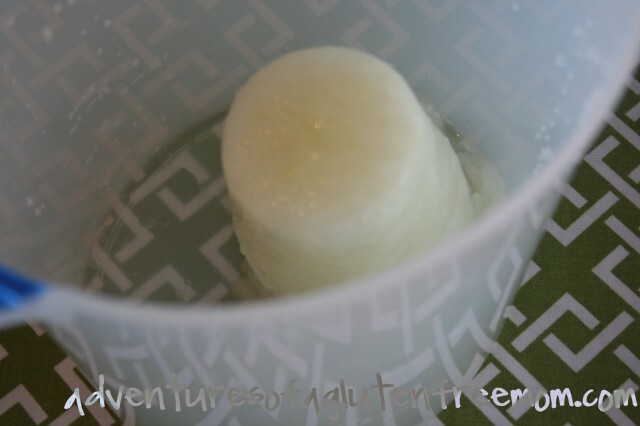 I like to juice them up and freeze the pure juice in ice cube trays so if a recipe calls for a little fresh lemon or lime juice, I just grab a cube, thaw and ta-da! No more yucky lemon or lime “juice” in those little fruit shaped containers! And no more getting caught unprepared and needing to run to the store at the last minute for a fresh lemon that is called for in a recipe. The Breville citrus juicer is not inexpensive ($190), so I don’t recommend buying one unless you really plan to use it (and pay cash… living credit card debt-free is an amazing feeling!). 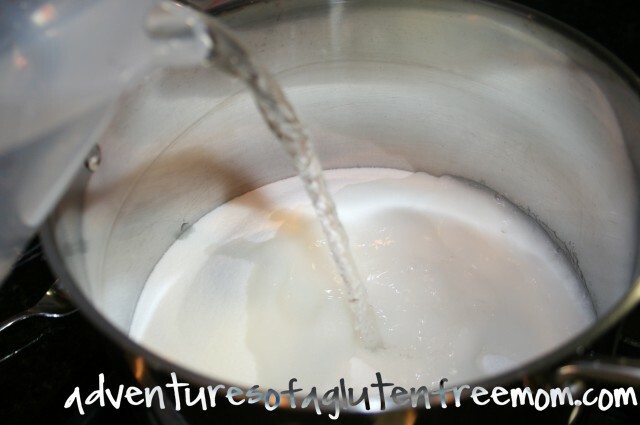 Make a simple syrup, combining the sugar and water in a saucepan over low heat. Stir occasionally until the sugar has completely dissolved. Add lime juice and stir to incorporate. 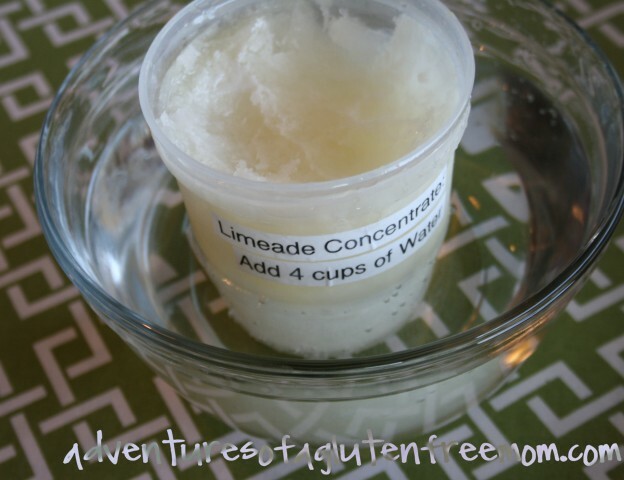 Now you have Homemade Limeade Concentrate! 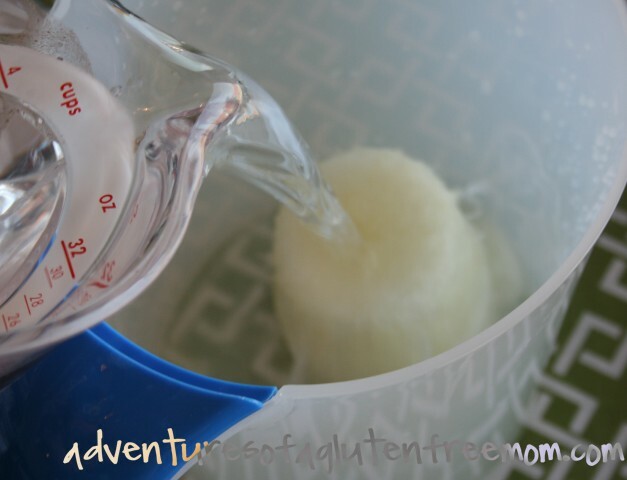 At this point you can either portion out and freeze for future use (I freeze the concentrate in 2 cup portions because I like to make up a small pitcher at a time), or chill the hot mixture in the refrigerator until cool. 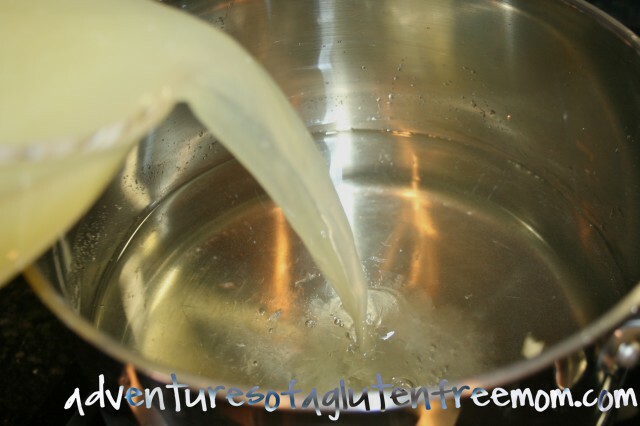 When you are ready to use it, simply add 2 cups of cold water to each cup of concentrate that you use. It does not make a lot, but that is okay… keeps me from drinking too much! This is one AWESOME gadget, worth every hard earned penny, in my opinion! Stirring occasionally, warm over low heat until the sugar is completely dissolved. 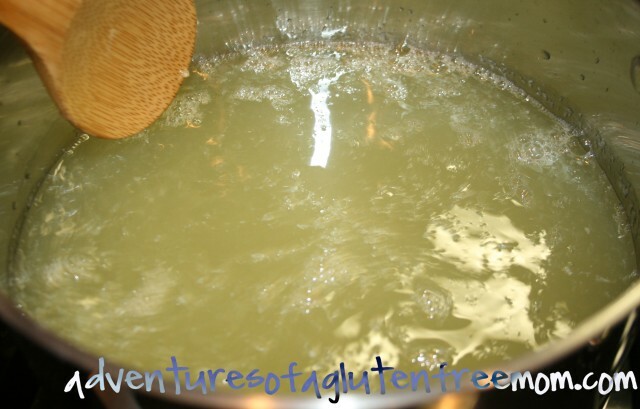 Add Lime Juice to the Simple Syrup. Since I don't have the cardboard containers that store-bought juice concentrates come in; I place my frozen concentrate in a warm water bath to loosen it up so it slides out easier. Add cold water, stir and enjoy! 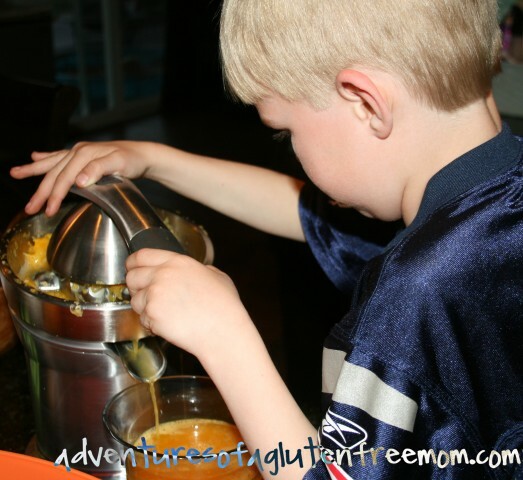 Sam LOVES this juicer! I cannot believe how fast he is growing up, he makes his own juice in the morning and his favorite is Blood Orange juice! 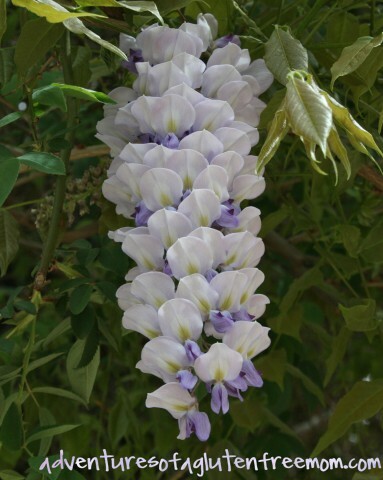 I love Wisteria and they are in full bloom at the Rio Grande Botanic Garden in Albuquerque! You could definitely do this with lemonade! The juicer is super cool, it was a difficult purchase to make initially, but it will pay itself off in the long run! 🙂 Before plunking down the money for this juicer, I bought a cheap Cuisinart electric juicer at Costco for $20. 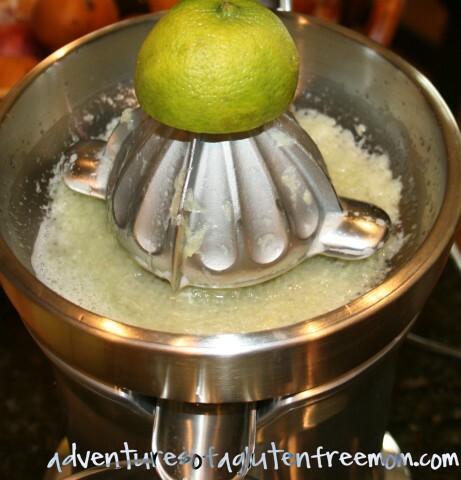 It was horrible, the base was so light, that when I juiced a lemon or lime by myself, the whole juicer spun around and juice went everywhere… I needed Mike or Sam to hold the base for me, LOL! 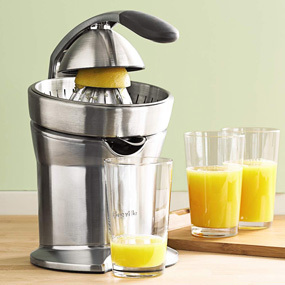 I also have another Breville juicer, but I had to take the citrus peel off first and I am too lazy for that too! 🙂 I love cooking at home, but the quality gadgets definitely help! 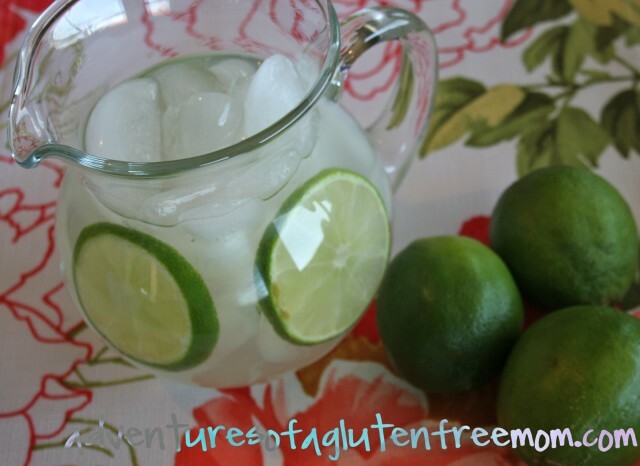 Good idea for limeade! Your pictures are a great help, too — looking at them makes me thirsty for something healthy. Wisteria is so lovely — I miss it here in Ohio. Thanks for that picture, too. Glad you liked the Wisteria photo… do they not grow in Ohio (I can't remember from when I lived there). Great idea Heidi! 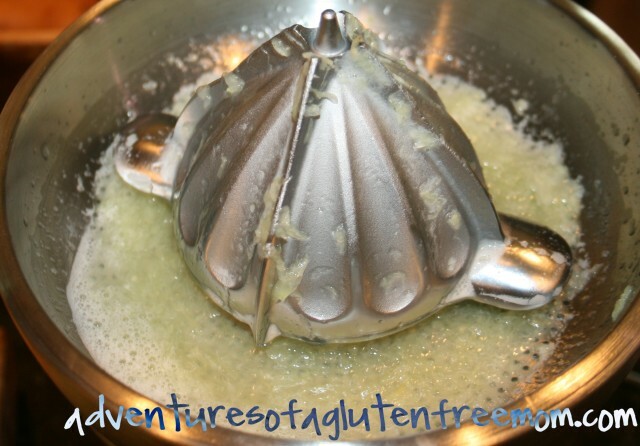 I would love to tweak this using our lemonade recipe! Being pre-diabetic sugar and I aren't compatible 😉 Every afternoon in the warmer months we have lemonade. I am too lazy to juice using my kitchen aide attachment so I buy lemon juice in bulk at Costco. For a pitcher we do one cup juice to six cups water and three full droppers of liquid stevia. Easy! We will make individually too…but we just eyeball that! Can't wait to try with limes! I am totally getting into Stevia, but I am still a newbie with it. Thanks for sharing how you make lemonade! My dad is diabetic and when I shared the Zevia soda with him, he loved it. He drinks mostly water, but treats are nice to have and Stevia is natural with a zero on the glycemic index, correct? I need to do more reading but I assume this is also safe for kids in moderation? I found some Root Beer flavored liquid stevia, by Sweet Leaf and added a couple of drops to sparkling water, the boys loved it! Sam wants to try grape next, but I told him he'd have to wait until I found out more. There is also a very cool bug exhibit going on! I like the idea of making concentrate. I'll have to try that with lemon or lime ade. Thanks! I also bought the Vanilla Creme, I just opened it and it smells wonderful. I am going to try it in the homemade coffee creamer that I make! 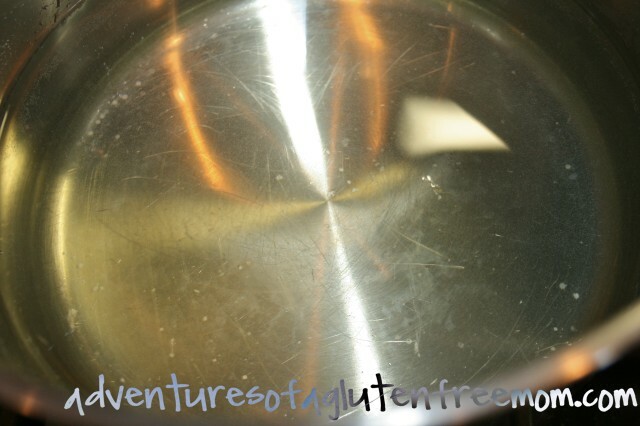 Not sure if I have posted that recipe yet… I can't find anything on my own blog (that will be corrected soon!). ok seriously, homemade coffee creamer. do tell, do tell!!! I will make some coffee creamer and take photos then hopefully get it up this week! My lips are puckering as I type this.!! Yummy! This looks great! What an awesome idea!! How refreshing! This is perfect for spring and summer. Thanks for posting this. Love this idea! 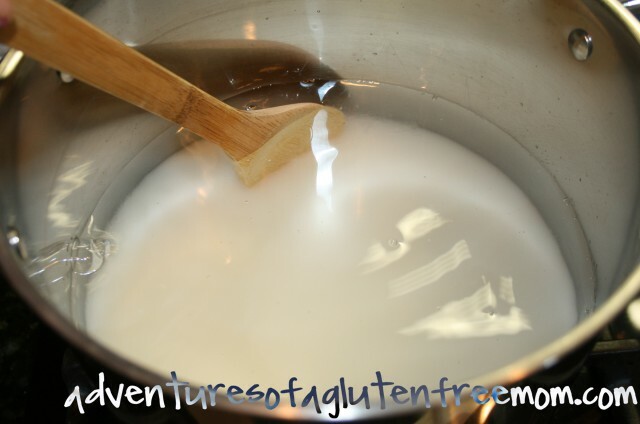 Of course, you could always sub agave nectar for the sugar – then no dissolving is needed. It does make it a touch more expensive though! I primarily use Stevia and SUSTA natural sweeteners and only occasionally use Palm sugar, agave nectar and honey, depending on the application I need a sweetener for. I have also been trying to use more sweet fruits, like dates to naturally sweeten some things. 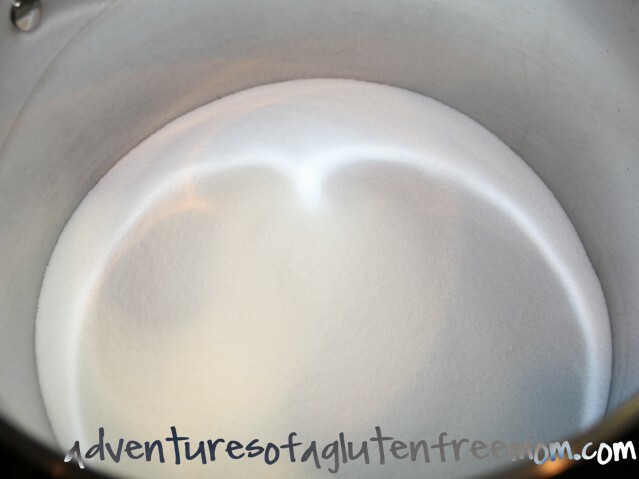 An couple more excellent resources that I highly recommend are Amy's blog "Simply Sugar & Gluten-Free" and Kelly's blog "The Spunky Coconut"
I haven't tried it with agave nectar, but I did try it with honey once. The honey was a bit overpowering for me… I like the distinct tart lime flavor, and all I could taste was tart honey, LOL! Looks refreshing! 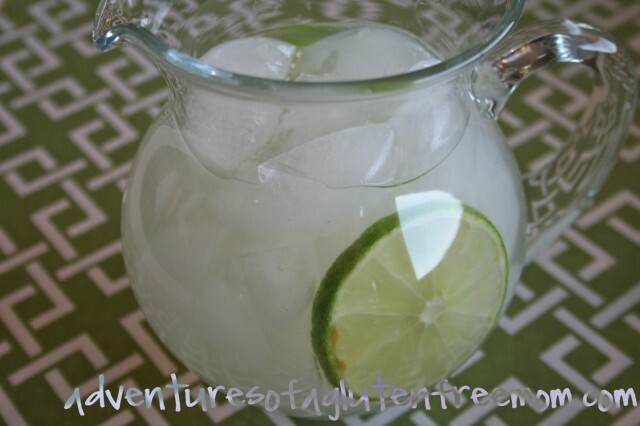 I'm always throwing any citrus fruits I can find into my water, but this limeade looks great, a must try! From the photos, it looks like it could make an icy-tart sorbet type snack as well! Cool idea! Michael is from Austin too 🙂 I love limeade!! Jessica: That is cool to know! I am a much bigger Limeade fan than I am lemonade… but I love tart and limes are good for that! 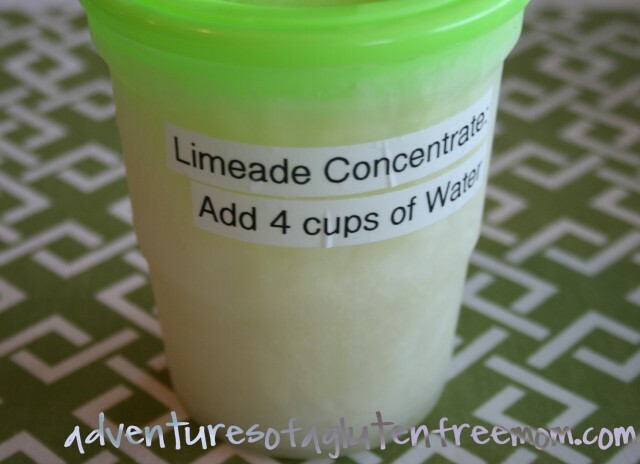 Can you use your homemade Limeade concentrate in any recipe that calls for Limeade Concentrate? In the same Quantities as the recipe says?? Hooray! Frozen margaritas here I come. Thank you! Thank you so much for sharing this. I live overseas (Cairo, Egypt) and Minute Maid concentrates are not available. I was wondering how to make my favorite margarita recipe and now, I know how!